File and archive manager. 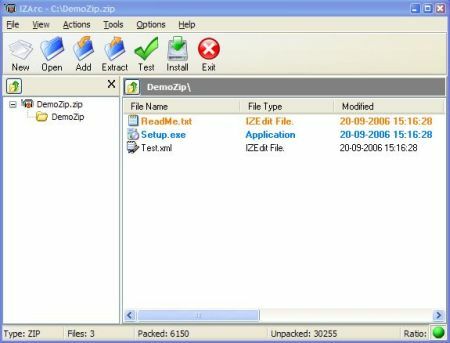 PeaZip is cross platform, available as portable and installable software for 32 and 64 bit Windows (2000, XP, Vista, 7,8,10) and Linux (PeaZip is a desktop neutral application). ? ?reate: 7Z, ARC, BZ2, GZ, PAQ/LPAQ/ZPAQ, PEA, QUAD/BALZ, TAR, UPX, ZIP. 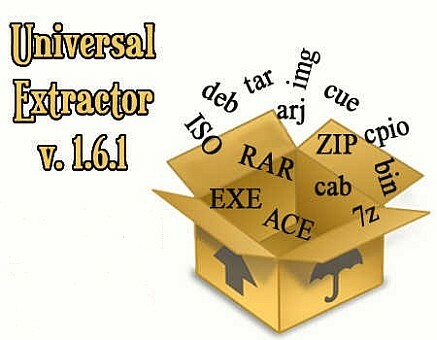 Open: ACE, ZIPX, ARJ, CAB, DMG, ISO, LHA, RAR, UDF and many more archive types (183 file extensions supported, see full list). PeaZip allows to save archive's layouts; apply powerful multiple search filters to archive's content; handle multiple archives at once; export job definition as command line; bookmark archives and folders etc. Easy extract rar 5.0! Needn't suffer the limitations of traditional compression software's copyright and functional ? We promise Haozip is free for both customers and companies, 40-day trial Farewell! After thousands times of compression tests in laboratory, compression of Haozip is 30% higher than traditional compression software! 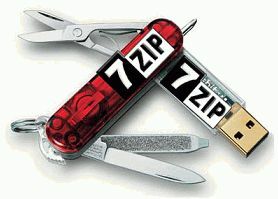 Original annotations for .7Z, high ability to repair damaged zip file. And selected a variety of functions including Batch Picture Converter, MD5 Checksum, Image Viewer to meet your needs! Original file filter list by top technical experts of the industry, it will work-out the best compression algorithm for your computer. Without sacrificing the compression ratio, 40% faster than traditional compression software! 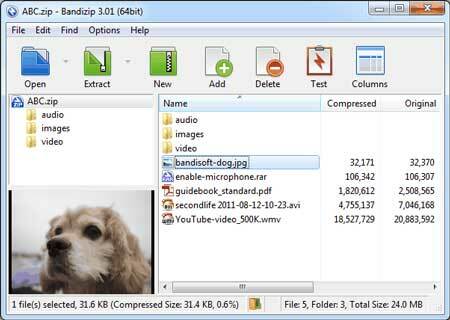 Support decompression 49 formats including .ZIP .7Z .RAR and so on, built .ZIP .7Z and .TAR compressed files directly, without plug-in support, to ensure the versatility! Added Cool Skin Changer, and will supply beautiful themes in various styles! Of course, you can use system comes standard interface, default skin. FreeArc is a modern general-purpose archiver. Main advantage of FreeArc is fast but efficient compression and rich set of features. FreeArc works 1.5?3 times faster than best compression programs. Includes LZMA, PPMD, TrueAudio and generic Multimedia compression algorithms with automatic switching by file type. Filters that further improve compression: REP (finds repetitions at the distances up to 1gb), DICT (dictionary replacements for texts), DELTA (improves compression of tables in binary data), BCJ (executables preproccesor) and LZP (removes repetitions in texts). Last version also can make ZIP and 7Z archives.